"All athletes are motivated when a moment like this comes in. 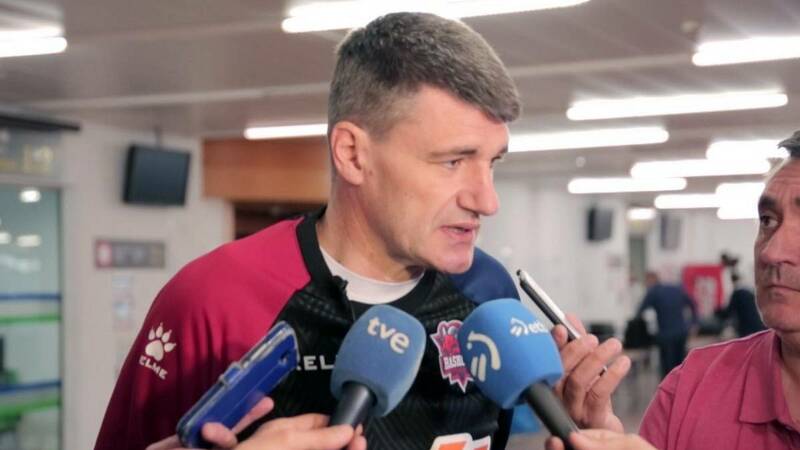 I do not know any player who does not want to be in the Playoffs," said Perasovic. Baskonia went on a private charter at 10am on the way to Moscow from the Vitoria airport. It will make a stop in Poznan (Poland) to report fuel. Perasovic offered the previous one before boarding . "Our goal is to travel with the idea of getting something positive in Russia. Travel Matt Janning but we'll see if he is able to play or not. He has hardly done a few workouts. We are talking about a player who has not been able to support the foot in five weeks. But he will be in the safe team, "commented the Croatian, analyzing the recent plantar fasciitis of the US forward.
" I think that when a Euroleague playoff comes everyone is very excited. It's true that I won them all on the Baskonia bench but I also lost one with Efes against Olympiacos. In addition, CSKA is a top team. They have always qualified, "Perasovic added. This is undoubtedly a special event. "All athletes are motivated when a moment like this arrives. I do not know any player who does not want to be in Playoff. Everyone is watching and they know it. Many players have played them and know what it is about. In attack you have to put enough points especially if you want to win teams like this. We played very well there fifteen days ago in the first three quarters. I even think that we defended very well at the beginning of the last but then they won us because they have an incontestable quality, "he said.